Do you have something else in mind? 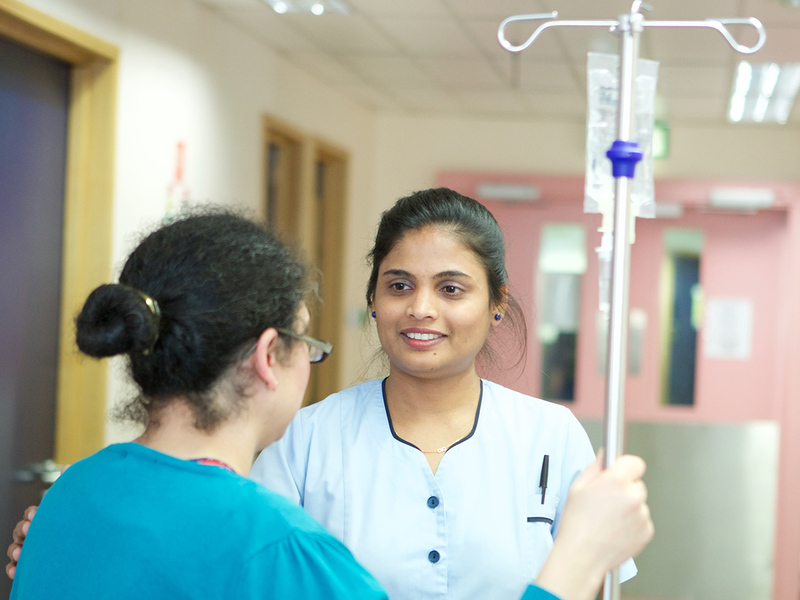 Please let us know and we can direct a donation to that cause or ward within the hospital. 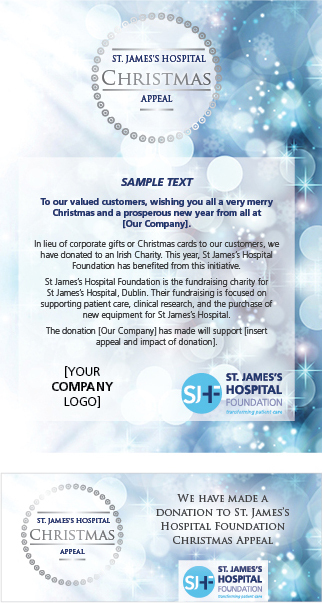 Provide you with a be-spoke Christmas e-Card that you can send to all of your customers. 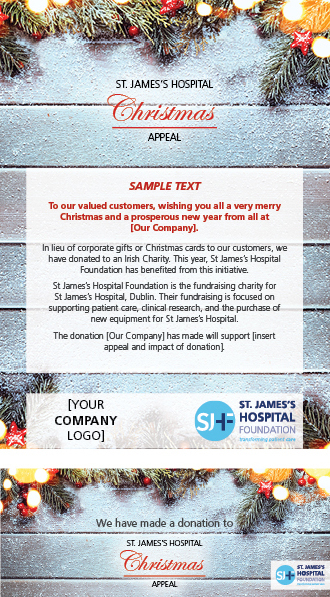 Provide an electronic footer for your emails, to use during the Christmas period, sharing that you are supporting St James’s Hospital. Give you the choice from 3 different designs that we have made available this Christmas. 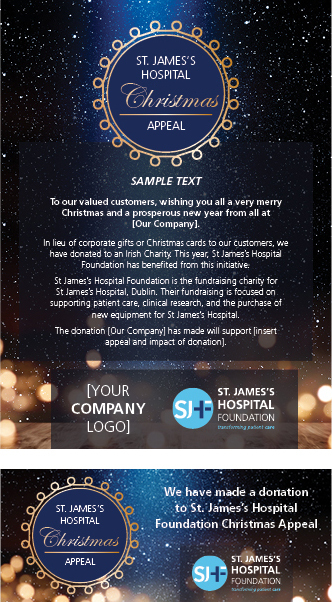 We will be in touch with you regarding the wording for your ecards and signatures, and provide you with the necessary files / codes as you prefer.